Announcing: JollyDeck’s new self-service Dashboard! Since we started building JollyDeck, our number one priority was providing the best learning experience possible. Our gamified learning environment has rapidly evolved from an early prototype to an engaging solution that successfully combines learning and fun. Despite the great learning experience, many of our clients were missing the ability to author, launch and monitor the learning campaigns on their own. 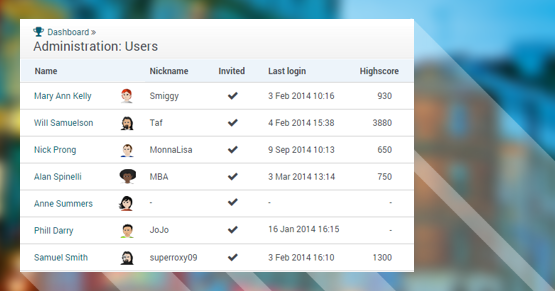 The missing piece is finally here: the New JollyDeck Dashboard. We’ve introduced a much simplified approach to authoring learning content, several tools to drive learning engagement, and most importantly much improved live-monitoring of the key KPIs. 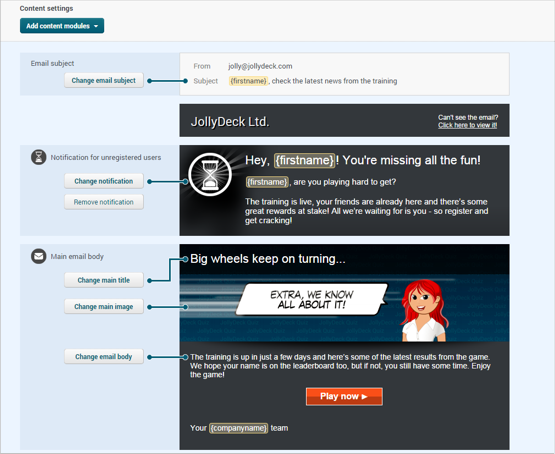 JollyDeck first-timers are guided through a simplified campaign creation process. Within minutes they are able to run a practice campaign and invite friends to try it. Experienced editors can build their learning campaigns from scratch or simply use one of the old campaigns as a template to save time. Good quality content is vital to run a successful learning campaign. In JollyDeck the learning content is based on questions, statements and propositions. We’ve learned that our clients are most comfortable to provide us with learning content in Excel spreadsheets. For this reason our content editor is designed as a single page continuous spreadsheet, which allows you both a clear overview and simple editing on one single page. JollyDeck learning experience is always social and requires enough users to learn/play at the same time. Both adding new users or just applying existing ones is quick and simple. 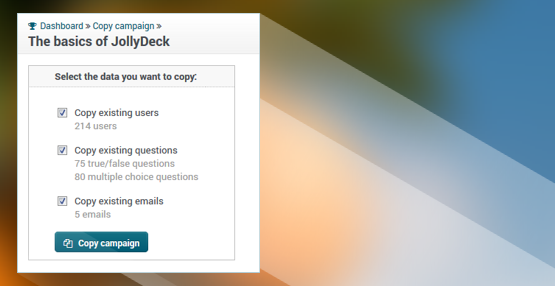 JollyDeck learning campaigns use lots of email communication to drive user engagement. It starts with invitation email, various notifiers during the campaign and a final winner announcement at the end. Emails can be based on predefined templates or designed from scratch. On top of that emails can be enhanced with modules which generate various personalized content for every recipient to make those emails even more appealing. 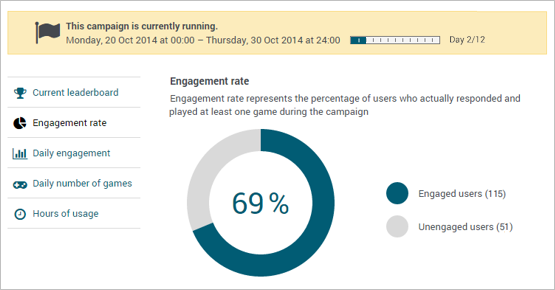 Once the campaign is ready it can be scheduled to start automatically. Your focus can now rest on the analytical part of the dashboard. A number of various KPIs are available in real time, including current leaderboard, user engagement and knowledge improvements. The new JollyDeck dashboard is certainly a big step forward for us but it’s not the end of the road for the Jolly team here. Our next big mission is to bring the JollyDeck learning experience straight into our users pockets. Yes – the JollyDeck is going mobile. Previous post: Can we make learning delivery fun and engaging too?